You can access to the individual pixels of the pixmap using the getpixel() function of the image object. 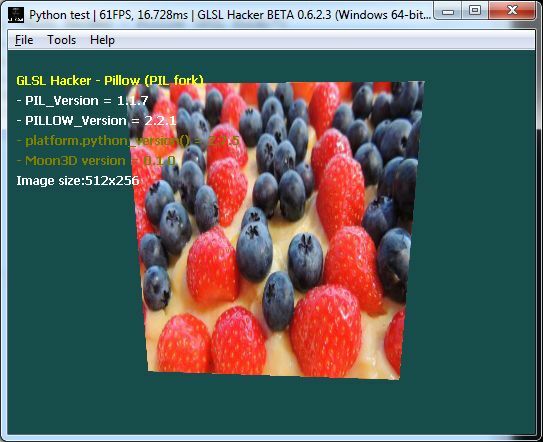 In the following example, tex01 is a GLSL Hacker texture and pixels of Pillow image object are copied into tex01 using gh_texture.set_texel_2d() function. The getpixel() function returns the value of a single pixel. Just give a tuple with the X and Y coordinates and getpixel() returns a 3-tuple RGB for a RGB image or a single value for a luminance image.